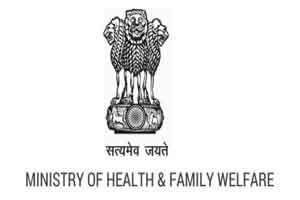 New Delhi: The Health Ministry has asked all its programme heads to nominate a nodal officer who would be responsible to update the rules and content of various schemes on its website, a move aimed at keeping citizens up-to-date with various initiatives taken up by the Ministry. The Ministry has also invited suggestions from public and stakeholders for improvement of the website by August 5. “All programme heads are also requested to nominate a nodal officer who should made responsible to regularly update the contents pertaining to scheme and programme under their charge,” a office memorandum issued on the Ministry’s website said. Noting that it is continuously taking various initiatives for the benefits of people, the Ministry said that creating awareness is also necessary to reap the benefits of the efforts. It said that since the Ministry’s website is a major source for the citizens for seeking any information or update about its initiatives or content, the website must be kept updated. “…pertaining to various schemes and programmes under their charge are correctly reflected in the website and obsolete act, rules or content if any be deleted,” it said. It added that correction, additions or deletions as identified and if required should be communicated. The Ministry puts out various content including acts, decisions of various committee meetings, amendments to rules, disease alerts amongst others on its website from time to time.